Marketing efforts are prevalent in our everyday lives. Everything from product placements in movies and television shows to flyers sent in the mail is part of strategic campaigns to reach specific audiences. Technology advancements and media consumption shifts have drastically changed the game for marketers, creating new job titles and responsibilities to take advantage of these developments. Mobile devices and social platforms, in particular, continue to shape what users expect from their experiences and how they communicate with businesses. Pursuing an MBA with a marketing specialization can open up critical positions like marketing director, business development manager and sales jobs. Marketing knowledge can be extremely beneficial for other MBA specializations as well, particularly if individuals are starting their own organizations or are looking to enter management roles. Permission and personalization marketing are two rising opportunities for organizations to target consumers in new, innovative ways. Let’s take a crash course on these marketing trends and how to utilize them effectively. Marketing ambitions can be seen everywhere from literal ads to the company names emblazoned on virtually every product we own or use. According to Forbes contributor Paul Jankowski, Americans might experience between 4,000 and 10,000 marketing messages a day, and fewer than 100 of them are likely to be remembered. Names on a product aren’t too obtrusive, but they can be enough to spark conversations, such as why you might use certain brands over others. Traditionally, ads were sent through mailers and seen on television. However, the emergence of online videos, streaming and social media have opened up new avenues for marketers. Ads appear in your Facebook feed as well as before video plays on YouTube. According to HubSpot, 91 percent of respondents believed that ads are more intrusive than they were in 2014, and 77 percent would prefer to filter their ads rather than completely block them. This shows that while interruption marketing is less effective, there’s still a chance for organizations to make an impression. What if potential customers chose to view your marketing message because they were actually interested in your offerings? This would ultimately lead to better sales conversions and improve revenue generation. With permission marketing, companies ask customers for their permission to deliver your latest offers and discounts. Examples of this can easily be seen when signing up for website memberships. Many retailers and news sites will ask for permission to send email updates and deals directly to your inbox. With permission marketing, organizations can build a more sustainable customer base, digital marketing consultant Shane Barker wrote for Business2Community. You can also capitalize on cheaper marketing mediums like online content, SEO, and social media to reach customers in more effective, less expensive ways. Opt-in emails are a powerful way to use permission marketing. Organizations can put a subscribe button on their website to make it more convenient to sign up for the latest news, events, discounts, and offers. Having an active social media presence is also necessary for getting the most out of permission marketing. Users can like, follow or subscribe to your page, expressing their consent to view your ads and marketing messages on their profiles. This will create an inexpensive way to continuously reach a targeted audience. Marketing is all about the customer experience, e.g. moving someone to buy your product or service. In the past, organizations were often mainly interested in reaching as many people as possible, but this wouldn’t necessarily reflect well with their conversions or return on investment for marketing efforts. What if you could not only know what a customer has purchased from you in the past, but also predict what they might need in the future? Personalization marketing techniques utilize historical data related to user behavior coupled with predictive analytics and machine learning to deliver unique recommendations tailored to each visitor. Retail websites might display deals associated with the city a user lives in using the IP address to deliver regional offers. If a visitor hasn’t been to the site before, it might be useful to have him or her answer a series of questions to get a better sense of lifestyle and potential needs. This is particularly useful for online clothing stores to develop a showroom of items that align with user interests. By using data from past purchases, personalized marketing can recommend other items that might interest the customer. If someone recently purchased a shirt, for example, the site could show clothes in similar styles. Suggesting items that the user might like can help improve conversion rates and increase the likelihood for future transactions, Forbes Agency Council wrote. Amazon is a prime example of personalized marketing, as they tailor their suggestions based on your previous activity on the site. Organizations are discovering that personalized marketing strategies can be extremely valuable. In fact, a survey from Forbes Insights and Gap International found that 65 percent of executives worldwide are implementing this approach in order to meet customers’ needs. It’s important to find the right balance with personalization as too much can spook users, and too little will be ineffective. While this is a big step in the right direction, many organizations are just starting out with personalization efforts. Research from Evergage found that only 45 percent of respondents think they’re getting personalization right, due to limited channels and experiences. A vast majority were using email and websites for the bulk of their personalized marketing, while fewer have taken the opportunity to use mobile websites, web apps or mobile apps. Cracking the code for these underutilized areas could help spread your message to more people. 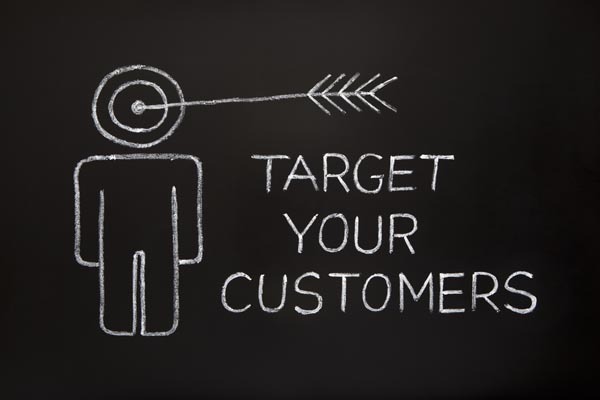 Personalized marketing is continually advancing to enable organizations to target their customers in new ways. Most marketers agree the personalization helps advance customer relationships and provides measurable improvements in business results. The focus here should be to match people with the most relevant content and consider how different customer personas want to receive marketing messages. Mobile technology and a demand for a heavier online presence have made quality content marketing more of a necessity for marketing professionals. Content marketing involves creating and sharing online material that is intended to stimulate interest in your products and services but doesn’t necessarily have explicit promotions. Organizations can use a variety of mediums including blogs, social media posts, videos, and infographics as part of a comprehensive content marketing strategy. The results of successful content marketing speak for themselves. According to Content Marketing Institute, content marketing leaders have 7.8 times more traffic on their site than their competitors. As people look for valuable and informative material, they are more likely to revisit a site that understands how to deliver up to their expectations. Content also promotes higher engagement rates and helps consumers remember the brand after they leave the site. In addition, content marketing costs 62 percent less than outbound marketing and generates three times as many leads, making it a beneficial strategy for marketers. Organizations are starting to realize the impact that content marketing could have on their bottom lines. The 2017 Digital Trends report from Econsultancy and Adobe found that content marketing took the top spot for digital-related priorities this year. In addition, 55 percent of respondents are expecting to increase the amount budgeted for content marketing. The main drive for this marketing strategy is to optimize the customer journey across multiple touchpoints and ensure consistent messaging within these channels. Creating compelling content, videos and social media posts can significantly improve digital experiences and increase brand engagement. Marketing professionals must ensure that any content is optimized for user devices. Some might be using desktops and laptops to view the content, while others could be utilizing smartphones or tablets. Mobile traffic has overtaken desktop internet usage, making it essential to optimize content for these environments. If pages don’t look good on mobile platforms, there’s a high likelihood that users won’t revisit the site or stay to hear your message. MBA students specializing in marketing aren’t the only ones who can make use of content, personalization, and permission marketing tactics. Any business leader or owner should understand these emerging trends and how to leverage them effectively to improve brand awareness and attract customers. Interruption ads and traditional marketing methods are not as effective as they could be. By asking users for their permission to send updates, using data to personalize marketing campaigns and delivering quality content that contains valuable information, organizations can better engage consumers and build more sustainable relationships. By taking an active part in marketing, you can ensure that the company you work for is taking the best steps possible to establish its brand. MBA students can learn essential business and marketing strategies to take your efforts to the next level. Demonstrating this knowledge as a leader in your role can show your initiative and open up other career opportunities. Are TV and Radio Still Effective for Advertising and Marketing?